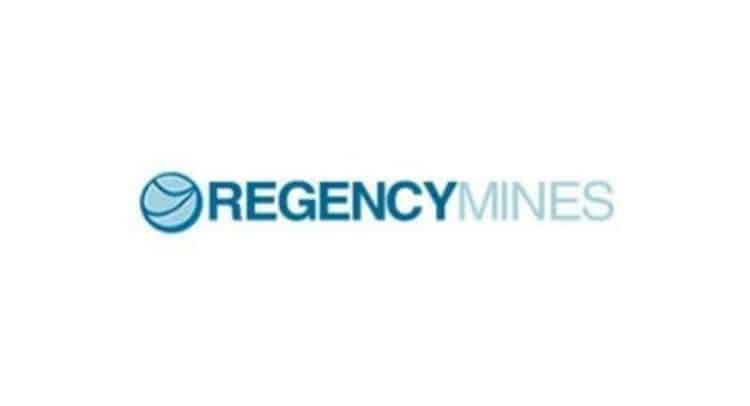 Regency Mines Plc, the natural resource exploration and development company with interests in hydrocarbons and battery metals, provides an update on operations. Andrew Bell, Regency Chairman, comments: “The key move of a high wall miner at the end of 2018 to a new location should provide three years of coal production and now enables increased output and operating efficiencies. Once the second mining machine is moved to its new location we expect to see overall operations reaching a new level of turnover and profitability. Many other initiatives are under way to tune up performance and increase production, and we look to the future with confidence. At Mambare, the hiatus that followed the failure of our former joint venture partner is now over and a new and committed partner has come forward out of the old structure, just in time for us to meet the challenges of recovering nickel and cobalt demand. The outlook for the Mambare joint venture is transformed by this and we and our partners are stepping up activity with some significant initiatives that we hope will lead to the grant of a mining lease and may lead to DSO production. At ESTEQ, AES and vanadium explorer DVY we are increasing our battery metal footprint and developing what may this year become a significant and cash flow-generative business at AES. At Curzon, we await developments. MET continues to conduct high grade coal production at the Omega operations in Virginia, U.S.A. As noted in the announcement of 28 November 2018, one high wall mining machine (#81) moved in November to a new location, Kilgore, and bonding and preparation for operations at the new site finished in time for operations at the new location to start before Christmas. In January the mining operation at Kilgore moved from one daily shift to working two shifts of nine hours. Tonnage and quality had been affected in this initial period by some refurbishment of the high wall miner, the development and preparations works being undertaken and the #81 still using the old cutter head while a new resized one was completed which happened yesterday. The new cutter head was fixed yesterday to the machine and, with third party tons, the operation now targets a sales level of 2,200 to 2,300 tons per day from production and third party sales. Wage costs have been reduced by a reduction in manpower and in overtime as a result of the new shift pattern, from $200,000 per two weeks to $120,000 per two weeks. The Kilgore location is approximately 25 miles closer to the main customer, enabling significant savings in trucking costs and gross margins. MET has reduced Omega’s breakeven production level to about 1,000 tons per working day. The second high wall mining machine (#77) suspended operations several weeks earlier than scheduled as the Mudlick seam became thin, and is preparing to move to a new site, a move which is expected to be implemented shortly. The coincidence of this event with the scheduled move of machine #81 impacted operations during November and December, with sales in November of 20,006 tons of coal and revenues of $891,624 for the month, after 43,530 tons of sales and revenues of $2,015,816 in October. Regency’s Australian partner in the joint venture (“JV”) has moved its interest by agreement into a new Australian private company, Battery Metals Pty Ltd. The JV’s nickel and cobalt Resource in Papua New Guinea was stated under the older 2004 JORC reporting Code in Australia, and over recent months the work was completed to ensure continuing compliance of the Resource as the updated 2012 Code takes effect. The focus for exploration in 2019 will be new ground penetrating radar (“GPR”) work initially to provide more detail over the existing JORC Resource and next over wider areas of the plateau to extend the area of known laterization. The process of cutting lines and clearing access has been under way for several weeks, though the GPR itself is not expected to start until after the rainy season ends in March. The JV is continuing work in developing a direct shipping (“DSO”) plan to take advantage of an improving nickel market. The pre-feasibility study is well advanced and is expected to be completed in the coming months. Preliminary documentation for an environmental permit was submitted to the regulatory authorities before Christmas. Further permitting and other processes will, it is hoped, be completed within six months and will identify any matters needing to be resolved before the JV can submit an application for conversion to a mining lease. The Direct Nickel (“DNi”) technology, for which the JV has a license and in which it has a small remaining stake, has agreed a framework agreement with Queensland Pacific Minerals, which Pure Metals Ltd (ASX:PM1) has an option to acquire, for the first commercial use of the technology in a planned 25,400 tpa nickel sulphate and 3,000 tpa cobalt sulphate plant in Townsville, Queensland, Australia. The Company’s battery metal technology subsidiary ESTEQ continues to hold a stake in Tesla hire operator White Car Ltd and an 80% interest in Allied Energy Services Ltd (“AES”). AES has changed its business model in the last year from one mainly focussed on local energy generation with grid backup and energy storage facilities, to one that focusses on private grid networks and combined heat and power provision, in combination with grid management services. AES has signed a pre-lease agreement subject to financing and has confirmation of permitted user for the first 49.5MW planned facility in Knowsley. A second fully permitted site 9MW site is in advanced negotiation.. Further sites of 49.5MW and 4.5MW are also under negotiation. As announced by Curzon in November 2018, Curzon is pursuing a participation opportunity with Pared Energy to develop a multi-TCF onshore natural gas project in Texas, and will update the market in due course. This project is expected to prove complementary to Curzon’s existing holdings in Coos Bay Energy in Oregon. The Company’s major vanadium exploration prospect in the Yukon Territory of Canada was announced on 24 January 2019. Vanadium-rich metalliferous black shales are an excellent source of vanadium with the electrolyte purity required for battery use. Although currently most vanadium is used in steelmaking, the fastest growing use is in battery technologies, where it is used in vanadium redox flow batteries for grid energy storage and in other uses. Vanadium has an important role to play in the future of energy storage and this investment complements the Company’s interests in ESTEQ. 250 samples from old drilling are ready for re-testing which will within weeks provide further information on the potential of this Project.